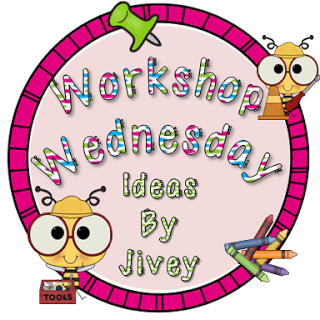 Better late to the party than to not show up at all... With that being said, I'm linking up for Workshop Wednesday on this Thursday evening to share thoughts on how I wrap up my launching unit in Reader's Workshop. However, before we start book clubs in Reading Workshop we usually go over some typical etiquette type things. I found this great run-down via Buzz Feed titled the "13 Worst Things that Can Happen While You're Reading" and I thought I would share some of these with my students this year. As we start our workshop and especially book clubs it's important to remind students of some etiquette since they will be reading and working together but often not always in the same "spot" in a novel... You can check out the full version here or check out the "5th grade" short and sweet version I plan on sharing with my fifth graders below. 1. You spill something all over yourself and your book :( Remember, to keep our water bottles and drinks away from our books! Reading Workshop is not the best time for learning to drink with your toes! 3.You waste valuable reading time by going to the bathroom! 4. Someone tells you a surprise twist ending! Oh, the horror! We never tell each other the endings to our book club novels even if they are in our reading groups! This could ruin a friendship! 5. You left your book somewhere. To participate in book club you need to bring your book to class every single day. If you don't have your book, you're not ready to learn or to read. 6. You have to wait for your friends to finish a book so you can FINALLY talk about it! Don't worry, they will finish it eventually. You can start a new book while you wait for your friend to finish their novel. Setting up some "humorous" but strict guidelines really helps create a successful environment for the rest of the year! Last year our book clubs were a HUGE success! I can't wait to start reading Rules by Cynthia Lord next week and start rolling out our realistic fiction book club! Hope everyone has enjoyed a great "short" week! I loooooove book clubs! These rules are great, and I sure hope you shared the GIFs with your kiddos too! My students and I loved the book Rules too! LOL These are great and oh so true! Thanks so much for sharing about this! Such a good idea, and how funny are those gifs!!? Thanks for linking up! Cute! Do you have a copy of the original list you shared with your class (ppt or something?)?? I just discovered your blog and love how you presented the rules. I really want to go back to doing book clubs and I'm going to try it out before the year ends. Thanks for the inspiration!